The word Income has a very broad and inclusive meaning. In case of a salaried person, all that is received from an employer in cash, kind or as a facility is considered as income. Here is an article providing you valuable information about the taxable and non taxable income. For a businessman, his net profits will constitute income. Income may also flow from investments in the form of Interest, Dividend, and Commission etc. 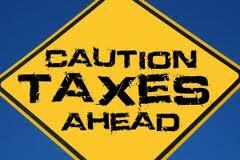 Infect the Income Tax Act does not differentiate between legal and illegal income for purpose of taxation. A) Revenue receipt B) Capital receipt. All that one derives from a source is called revenue receipt. For ex. Salary from employment, Rent from property, Interest or Divided from Investments, Profits from business. When an income is earned on account of transacting the source itself, it is called Capital receipt. For ex. Sale of land and building, business, investment etc. The dividend declared by Indian companies is not taxable in the hands of the share holders because tax on distributed profits have already been borne by the company. What is done after the income is earned does not determine its taxation. However charitable contribution to approved institutions will give you the benefit of certain deductions from taxable income. At the moment individual, HUF, AOP, and BOI having income below rupees one lakh need not pay any income tax. For other categories [persons] such as co-operatives societies, firms, companies and local authorities no such exempted limits exists, so they have to pay taxes on their entire income. In cases of senior citizens aged above 65 years and women the exempted limit for the financial year 2007-08 are rupees one lakh ninety thousand and one lakh forty thousand respectively. To consider an activity as agriculture the basic operation such as tilling, sowing, irrigating & harvesting should have been carried out. Thereafter what is sold in the market should be the primary product harvested. Receipt from such sale is considered as agricultural receipt. If however some further processing or modification were done to the harvested product to enhance its marketable value then such enhanced value would be considered as business income. Agricultural income is not taxable. However, if you have any other source of income like income from investments, property etc, while calculating tax on them, your agricultural income will be taken into account, so that you pay tax at a higher rate on that other income. For every source of income you have to maintain proof of earning and the records specified under the IT Act. In case, no such records have been laid down, you should maintain reasonable level of records with which you can support the claim of income. Even if you have only agricultural income you are advised to maintain some proof of your agricultural earnings. 0 Response to "Taxable Income"